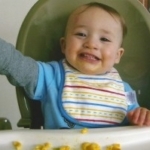 On June 8th, 2014, ten week old William Garrison of Davidsburg, MI was attacked and killed by the family’s dog. 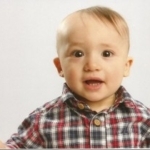 Holden William Garrison, the son of Jeff and Tiffany Garrison, died Sunday morning after the family’s dog, a Catahoula cattle hound, bit the baby’s head and throat. 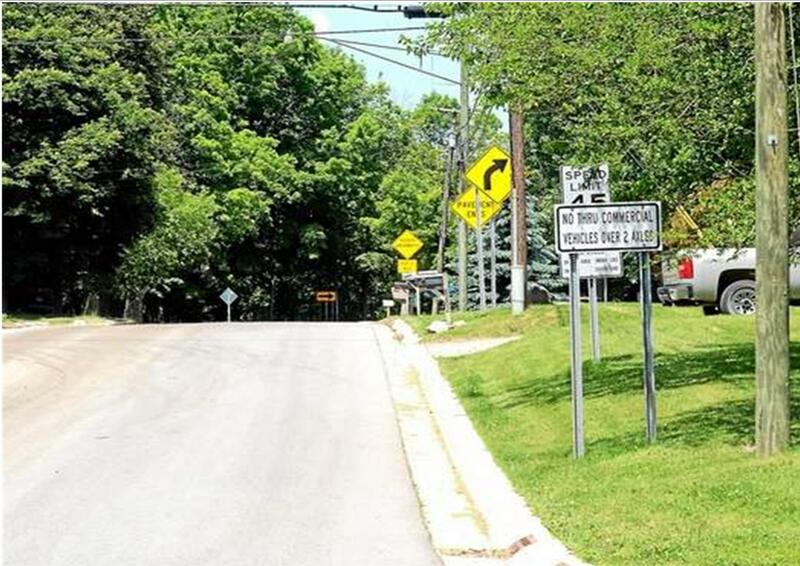 Oakland County sheriff’s deputies were called to the 8200 block of Tindall Road in Springfield Township around 11:40 a.m. where they found the boy’s father preparing to take his son to the hospital. Holden was sitting on his uncle’s lap when the dog tried to jump onto the couch. The boy’s uncle, 18, pushed the dog away, but the dog jumped back up and began biting the baby. Holden’s father, 26, pried the dog’s jaw open and pulled his child away, sustaining injuries himself. There were no other children in the home at the time of the attack. Upon arrival, deputies immediately started CPR and member of the Springfield Township Fire Department transported the boy to Genesys Regional Medical Center in Grand Blanc. From there he was airlifted to Royal Oak Beaumont, where he was pronounced dead. 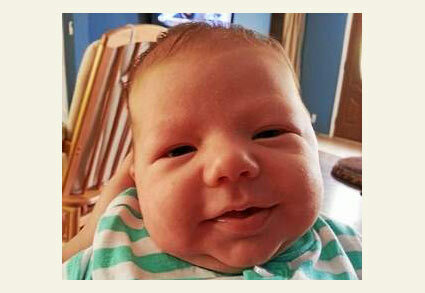 The Oakland County Medical Examiner’s office ruled the Springfield Township infant’s cause of death as multiple head trauma, with the manner being accidental. Officials said the family has owned the Catahoula for about two years. It bit a neighbor on the arm several months ago but did not cause injury and did not result in a response from deputies. Deputies called CPS about the investigation Sunday. It’s unlikely that the family will face and charges, the sheriff said. “We’ve obviously got a situation that requires and will get a complete and full investigation, but having said that there’s nothing so far that I’ve seen that purports and kind of negligence.” Oakland County Sherriff Michael Bouchard said. Bouchard said the department’s thoughts and prayers are with the family. “Jeff and Tiffany Garrison relinquished custody of the dog, Precious, to the Oaklan County Animal Control late Tuesday, June 10th, with the next step being the euthanization of the dog.” Bob Gatt said. After the process is complete, the dog will be shipped to Lansing to get tested for rabies, although Gatt said the dog had a current vaccination at the time of the attack. “This was just a tragic situation, and our hearts go out to the family,” he said. The boy’s funeral service was held at 1 p.m. Friday, June 13th, at Coats Funeral Home in Clarkston. Garrison is survived by his parents, grandparents, James and Melinda Garrison, Tina O’Grady, Jack Tarket and Pattie Kidd: great grandparents Maria Hayes, William and Penny Nichols, Jack and Linda Porter and uncle John O’Grady IV. 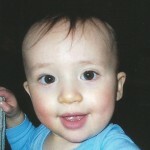 He was preceded in death by his uncle, Jamie Garrison. The Catahoula is the state dog of Louisiana. The dog was traditionally used to hunt wild boar. 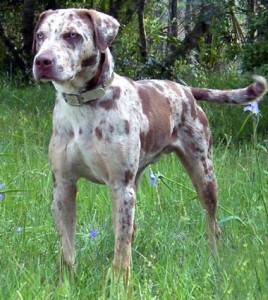 The Catahoula is described as “tough, agile, fearless and intelligent” by the Dog Owner’s Guide at canismajor.com. “The breed developed from dogs abandoned by Spanish explorers crossed with Indian dogs living with the local tribes,” the site states. There are different breeds associated with the Catahoula cattle hound. There is the Catahoula bulldog, Catahoula bullterrier, Catahoula pit bull and the Catahoula leopard dog (cattle dog). Only the last qualifies for the AKC’s Foundation Stock Service (FSS), which are ineligible for AKC registration. Are pit bull-mix dogs mislabeled as Catahoula’s? Yes, primarily those with merle coloring. Authentic Catahoulas (AKC example), obviously cannot be mistaken as pit bulls. Fancy name or not, that’s a pit bull mix. All muscle and jaws with a strong prey drive. However, while shopping, bear in mind the size of your dog. People who know the family say the dog that killed the child was a Catahoula-pit bull mix and the fact the dog had to be “pried” off the child indicates it was a pit bull. People often breed Catahoulas and pit bulls to create spotted pit bulls.